Ladder loading made easy with side of vehicle access. Unique slide function allows for below roof level, side of vehicle ladder loading. 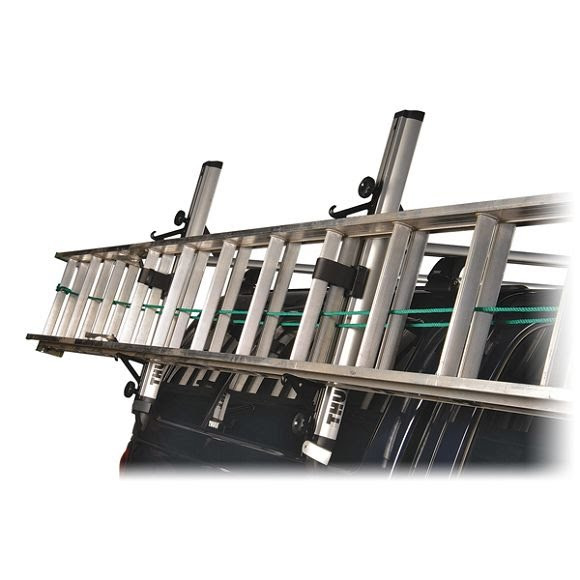 Easy to use ratchet strap provides ladder transport stability. Designed for one extension ladder, 100 lb maximum. Rust free, heavy-duty aluminum construction. Easily mounts to Professional load bar.